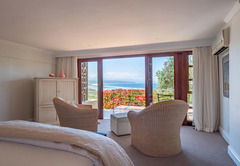 La Vista Lodge is a 4 star graded guest house offering Plettenberg Bay accommodation in 7 guest rooms. 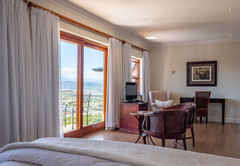 La Vista Lodge lies in all its glory at the highest point above Plettenberg Bay, offering continuous views over the Keurbooms Lagoon, the Bahia Formosa (or beautiful bay) and the Tsitsikamma Mountains stretching eastwards. Your holiday fantasies are realized during your stay with us. 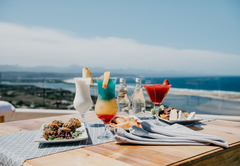 With extravagant breakfasts, exceptional guest service and care, attention to the smallest detail and the La Vista itself, there is simply nowhere else to stay in Plettenberg Bay. 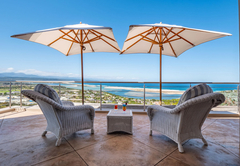 Enjoy ocean or lagoon views, as well as fantastic amenities from one of our seven uniquely adorned and spacious suites. 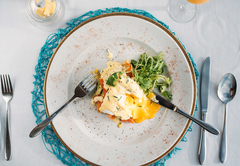 With three different price levels, we cater for everyone’s budget. 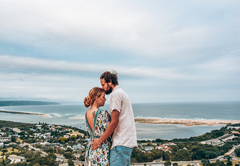 Offers newlyweds the perfect space to celebrate their marriage and new futures together. 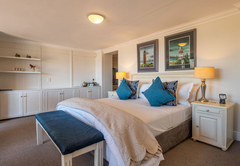 Furnished with a king size bed, en suite bathroom with bath and separate shower as well as a lounge complete with satellite television, hot beverage facilities and a mini bar. 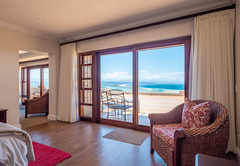 Enjoy the large verandah, with 270˚ views of the Indian Ocean and Lagoon below. 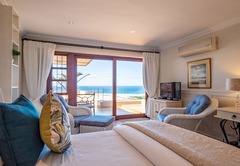 Allow the light and airy feel of our three luxury suites entice you to have an extended stay in our beautiful bay. 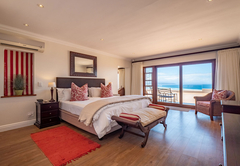 Each suite offers a 180˚ view of the surrounding area, as well as either king size or twin beds and en suite bathrooms with bath and separate shower. 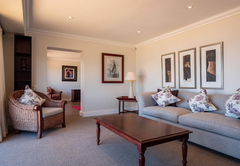 The suites have a seating area with satellite television, hot beverage and mini bar. 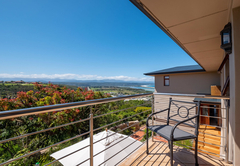 There is also an adequately sized verandah...perfect for watching the sun rise with your morning coffee. 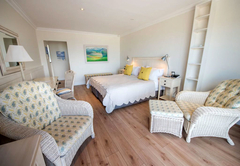 Room number 6 offers an extra bed for children 8 years and above. 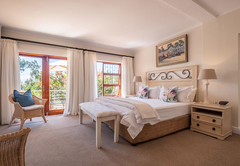 These three slightly smaller, but nonetheless beautiful rooms offer partial Indian Ocean, lagoon, mountain or garden views. 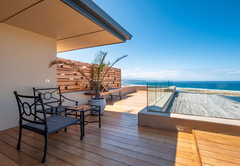 Each has a lovely little balcony or patio on which to enjoy South Africa’s usually sunny weather. 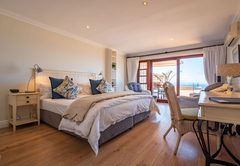 These suites still have all the bells and whistles, including an en suite bathroom with bath and separate shower, small seating area, satellite television, hot beverage facility, mini bar and either a king size or twin beds. 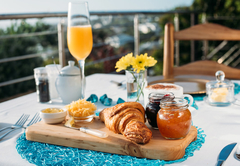 Your mornings will be filled with the fragrance of freshly baked pastries and world-class coffee, wafting through the villa and enticing you down to our Ukubuka Dining Deck, where you can really get the best start to your day. We also offer delicious tapas platters, and three course private or communal dinners. 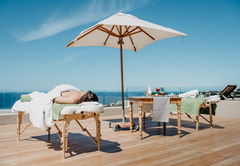 Enjoy our collaboration with Forest Nature Spa, who offer healing massages in the comfort of your own suite. 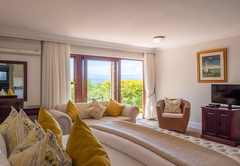 All in all, we are in the perfect spot for you to get the most out of your stay in Plettenberg Bay! 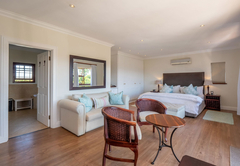 Our flagship suite, boasting a king size bed, en-suite bathroom with bath & separate shower, extended lounge area with hot beverage facility, aircon, mini bar and TV with DSTV. 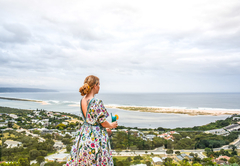 270 degree ocean and lagoon views and a 80sm verandah with deck chairs. 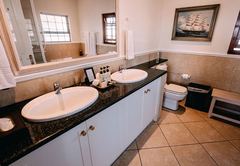 All suites have king size beds, with en suite bathroom with bath and separate shower. Mini bars, air conditioning, TV with DSTV, hot beverage facility. Small indoor seating area. 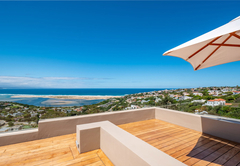 Each has a small verandah with 180 degree lagoon or ocean views. 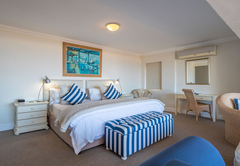 This king size bed can also be made into twin beds,with en suite bathroom with bath and separate shower. 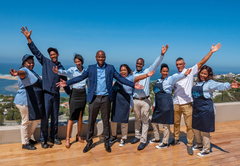 Mini bars, air conditioning, TV with DSTV, hot beverage facility. 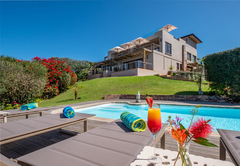 Each has a small verandah with 90 degree lagoon, ocean or garden views. 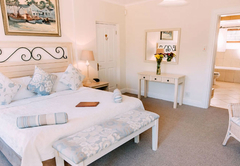 This king size bed can be made into twin beds, with en suite bathroom with bath and separate shower. Mini bars, air conditioning, TV with DSTV, hot beverage facility. 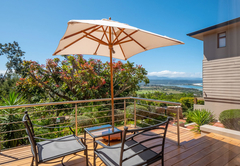 Each has a small verandah with 90 degree lagoon, ocean or garden views. 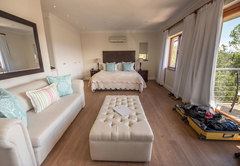 Suite 5 includes a king size bed and sleeper couch, with en suite bathroom with bath and separate shower. Mini bars, air conditioning, TV with DSTV, hot beverage facility. 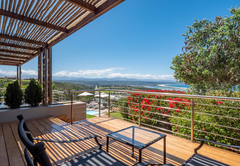 Each has a small verandah with 90 degree lagoon, ocean or garden views. 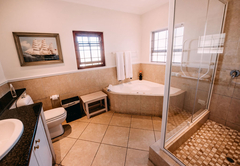 All our suites includes king size beds,with en suite bathroom with bath and separate shower. Mini bars, air conditioning, TV with DSTV, hot beverage facility. Small indoor seating area. 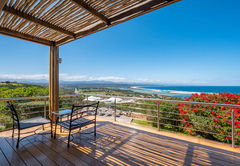 Each has a small verandah with 180 degree lagoon or ocean views. 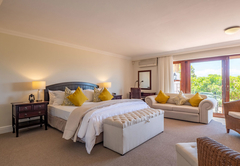 Bed arrangement can be king size or twin,with en suite bathroom with bath and separate shower. 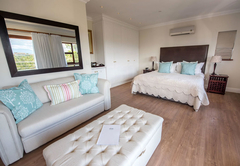 Mini bars, air conditioning, TV with DSTV,hot beverage facility. 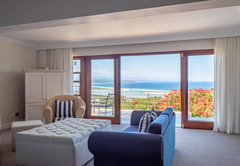 Small indoor seating area.Each has a small verandah with 180 degree lagoon or ocean views. Response timeLa Vista Lodge typically responds to requests in 5-10 minutes. Child policyWe regret that children under the age of 8 are not accommodated.